Nicole Richie first wore her Eley Kishmoto oversized shades on the music video 'I Call It Love' by Lionel Richie. Nicole Richie then wore them out and about in Los Angeles in 2007. 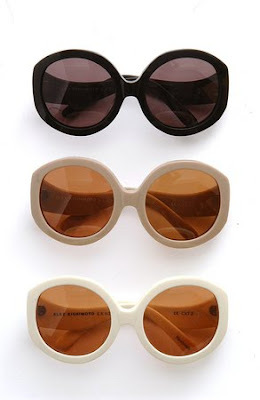 Eley Kishmoto S/S 2006 Sunglasses. Nicole Richie wearing her Eley Kishmoto shades again! Nicole Richie brought the shades back this year whilst out in London, February 2010!